I spent a total of 3 years in the Army, from September 1957 until September 1960. During that time I was stationed at three different Nike sites. The first one was an Ajax site in North Kingston – Davisville, Rhode Island. Then I was at a second Nike Ajax site in Gerszewski Barracks at Karlsruhe, West Germany. My third site was here at Charlie Battery, a new Ajax - Hercules site in the German wine country about 20 kilometers from Heilbronn. A Nike site consisted of two distinct areas, each area enclosed with a chain link fence and having a guarded gate as an entrance. One area was the launcher area where the missiles were housed and readied to be fired. The other area was the IFC area where the radars were located. The two areas had to be separated because it was vital that the Missile Tracking Radar (MTR) be able to lock on to and track the missile properly. The distance apart was usually about two miles. For an illustrated layout overview of a Nike Site please “Click Here” to view it. A Nike site was supposed to be mobile, though we never actually moved at any of my sites. But the equipment was arranged such that it could all be moved. Accordingly, the IFC area consisted mainly of three “vans” or trailers that could be towed away with a tractor. Those trailers were the Battery Control Trailer (BC Trailer), the Radar Control Trailer (RC Trailer), and the Maintenance Trailer. The radar antennas were separate structures outside on their own trailers that could also be towed away. The first of the trailers was the BC Trailer. It housed the acquisition radar and the computer along with the switchboard and a target plotting board. The analog computer was a big machine, and included many vacuum tubes. Much equipment heat was generated so the trailer was air conditioned to keep the equipment running at the proper temperature. There were four enlisted men working in the BC Trailer along with a commissioned officer, the Battery Control Officer. The switchboard operator had a PBX board and answered incoming calls and connected the caller to the correct phone. The computer operator had a sequence of steps to activate the computer. The plotter wore a set of headphones connected to battalion control and plotted target locations as relayed from the early warning radar onto a Plexiglas plotting board underneath which was a paper grid of the surrounding area. The acquisition radar operator also wore a set of headphones connected to battalion and was responsible for finding the targets designated to the battery by battalion. The “ACQ” operator could look immediately behind him and see the plotting board showing target locations. The Battery Control Officer sat next to the ACQ operator. He wore headphones and was responsible for activation of the missile “fire” switch. The “fire” switch was a simple toggle switch covered with a red plastic shield. The shield had to be lifted before the fire switch could be flipped. The BC officer further notified the Launcher Control Officer in the Launcher Control Trailer (LCT) in the launcher area whether to ready a Nike Ajax or Nike Hercules and the type of warhead desired. 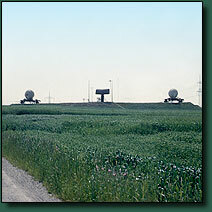 The RC Trailer housed the Missile Tracking Radar (MTR) and the Target Tracking Radar (TTR) consoles. The MTR console had one operator, while the TTR console had three operators. The MTR locked onto the missile and eventually guided it to the target. The three TTR operators were the elevation, range, and azimuth operators. The TTR could lock onto the target and track it automatically. Alternatively, the TTR operators could track the target manually which might be needed if the target presented a weak signal and/or there was electronic jamming. The RC trailer was also air conditioned. The Maintenance Trailer was where the spare parts and test equipment were kept. It was the base for our radar maintenance technicians. The IFC area had several enlisted maintenance techs, most at least E-5 pay grade, plus at least one, and usually two, maintenance warrant officers. The Acquisition Radar antenna, when in use, constantly rotated, covering the horizon 360 degrees at three speeds as chosen by the operator; 10, 20, or 30 revolutions per minute. The normal speed was 20 RPM. The MTR and TTR antennas were similar dish type antennas. The MTR and TTR antennas were covered by a fabric dome to protect them from the elements. The IFC area was connected to the launcher area via a dedicated land line. It was connected to battalion via a land line, actually a dedicated commercial telephone line. We had back up radios to use, though I never recall us ever using them, or even to see how they would work if actually needed. In Rhode Island our site used commercial power and had back up diesel generators. In Germany we operated entirely on diesel generators. There was a Ready Room with bunks where on duty personnel could sleep when the battery was on alert status. In Rhode Island “hot battery” meant we had to be able to fire a missile in 15 minutes from being alerted. Then there was a 2 hour battery and finally “cold battery” when there was time for more extensive maintenance. In Germany “hot battery” meant being ready to fire in 5 minutes, followed by 30 minute battery and 2 hour battery. There was a certain sequence of events which were repeated each time a missile was actually fired (only during ASP in peacetime) or in simulations. A target was assigned by battalion, coordinates were reported to the BC Trailer, the ACQ operator found the target on his radar, and pushed the “designate” switch, “designating” the target to the TTR. The computer then sent a signal to the TTR antenna to slew around to the proper target coordinates so that the TTR could track the target. The TTR operators tweaked their controls to find and continue to track the target if need be. In the meantime the MTR had locked on to the readied missile. At the proper time, the Battery Control Officer flipped the “fire” switch and the missile was launched. Information as to the target location was sent to the computer by the TTR, which in turn told the MTR how to guide the missile to target. This coordination plotted, what was then known as the Predicted Point of Intercept, or PPI. The Nike system was therefore known as a “command guidance system”. We trained constantly so that we could acquire and track all types of targets in minimum time. From time to time we had operations checks (“Ops Checks”) from battalion. The team from battalion would come to simulate an actual alert to see if we were at that time capable of firing in 5 minutes or 30 minutes depending on our alert status. These checks were always supposed to be complete surprises. In practice they never were. We never failed to get a warning they were coming, probably because an Ops Check failure was such a serious matter. I was told a failure meant the battery commander was relieved. And clearly the battalion commander would look bad as well. We never had a failure. And I really don't think we would have ever had a failure even without the benefit of a warning. The Nike system radars were vulnerable to electronic jamming by enemy aircraft. As a consequence, various equipment field revisions were made from time to time to counter jamming efforts. I was sent to a special ECM school at Ft. Bliss. Some of these counter measures involved quick changes of radar frequency to “dump” the jamming. TTR operators could sometimes manually track targets if jamming did not allow automatic tracking. While in Rhode Island we once ran an exercise with the Air Force. They were able to completely black out our Acquisition Radar such that we were incapable of finding their aircraft. I don't know exactly how they did it, but other than using electronic jamming one very good way to confuse radar is to drop “chaff.” Chaff consists of hundreds of small pieces of aluminum or tinfoil dropped from an airplane. It slowly floats upon the breezes as it drops down. The radar bounces off so many of these pieces at the same time that it is completely jammed. And of course the Air Force would never have used its most advanced methods against us in an exercise. Who knows what the Soviet Union had? I did learn at ECM school that they had an air-to-ground missile system that used our radar beam to guide their ATG missile right down to us! And of course, we could not track aircraft below certain altitudes. That is why our own B-52's fly in at levels just above tree tops, or “under the radar.” Still, as I well remember one officer telling me, “If we ever have to use it, the system has failed.” Thank goodness we never did have to use it. It was a deterrent. When I first went to Germany the Nike command structure reported directly to United States Army Europe. Later that was changed so we reported to 7th Army. The Nike Hercules (but not the Nike Ajax) had surface to surface capability as well as surface to air capability. Soon after we became a part of 7th Army (seven steps to hell!) their commanders learned that the Hercules could be fired surface to surface. This fact generated much interest, so that we became a part of 7th Army field exercises, being assigned ground targets which we simulated destroying, much to the delight of 7th Army. I recall that we would see these glowing letters from 7th Army posted on our bulletin boards. In some cases we actually received some type of special commendation. Of course we never left our site, while the 7th Army infantry, artillery, armored units, and their various support groups moved around in the field in all sorts of weather. 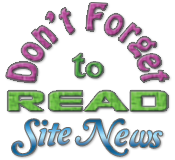 Please Remember: Click the thumbnail images on the following pages to display an even larger image. Then click anywhere outside of the larger image and it will close itself.